WELCOME TO SOUL HAVEN STUDIOS. A FULL FEATURED AUDIO AND MUSIC PRODUCTION FACILITY CONVENIENTLY LOCATED IN THE CENTER OF THE HAMPTON ROADS AREA OF VIRGINIA. We are dedicated to the simple ideals of versatility, flexibility and focus on each project presented. Our engineers are in tune with your individual needs as a musician with the knowledge to create the sound you are looking for. Our studio's were designed and built with the artist foremost in mind. You will find our rooms to be warm and comfortable with great energy and vibe. From gospel to rock, pop to country, instrumentals or voiceovers, our staff is committed to ensuring your time here produces the highest quality for your project within the budget given. Soul Haven was designed to offer a wide variety of tracking capabilities. We are able to isolate and record a full standard band simultaneously in our “A” studio. We can multi-track in our “B” room with two room isolation or from our sound treated hall for large room performance needs. In addition we can track sixteen channels of live performance in our hall location. Soul Haven has long been affiliated with some of the finest mixing engineers in the region. Many of today’s artists have the means to track their song on their own, but have not developed the skills to mix it to the level the industry demands. Let us help you take your sessions to the next level with industry standard mixes. 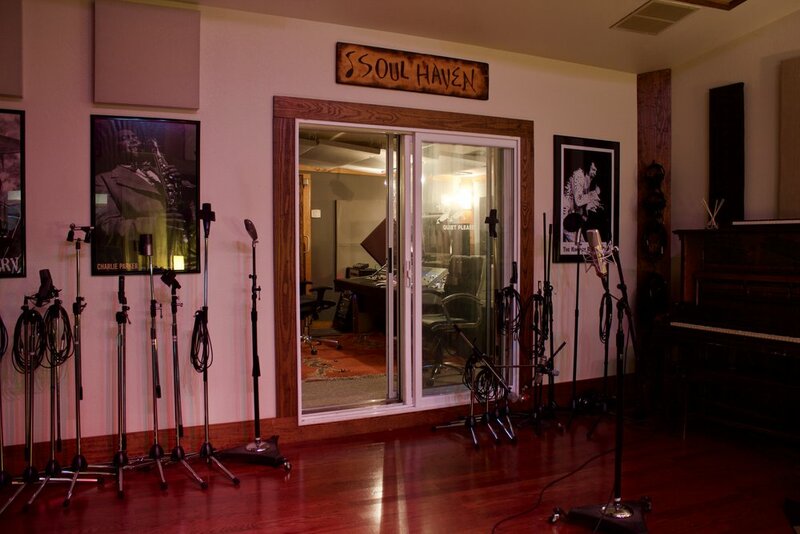 Soul Haven has on call relationships with many of the area’s finest studio musicians. A good studio musician has the ability to play in a wide range of styles and an understanding of how to play within the song put before them. It has been one of our main goals as a production studio to be able to provide these first rate musicians and arrangers to meet all of our customers’ needs. Whether you are looking to put out a single, make an EP or create a full-length record, we will guide you through the process and make the end result in something that stands out, is commercially competitive, and is a completely custom production for you. Our primary goal is to offer high-quality mastering services to the independent music community. To this end, we offer a control room with superb acoustical characteristics, high quality equipment and an empathetic approach to the diverse sonic goals and needs of independent musicians. So, where do we start? Whether you are brand new to the recording process, or a seasoned studio veteran, we will develop a personalized strategy to achieve your goal. The first step is to open a dialogue with our studio manager who will use his experience to best provide the services that you need. Our studio A is a comfortable multi room Pro Tools HDX facility with great warmth and feel. Featuring top of the line gear from Avalon, Neve, Universal Audio, Neumann, Digidesign, Genelec, JBL amongst others. The acoustic live room is 18' x 24' with a high ceiling. The control room is 14' x 24' with theater seating. Spacious 6' x 8' vocal isolation room as well as a 5' x 6' amp isolation room. Designed with you in mind. 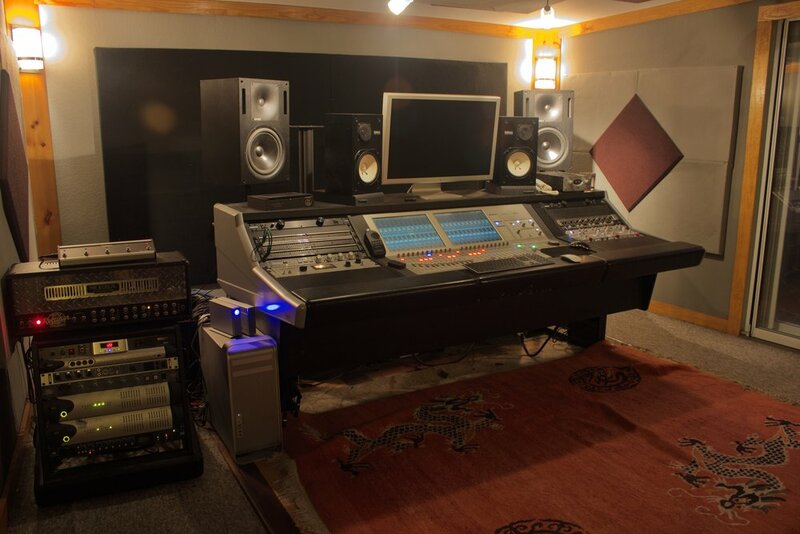 OUR STUDIO B WAS DESIGNED FOR CREATIVE ARRANGING, MIXING, ACOUSTIC/VOCAL TRACKING AND VIDEO EDITING. As both a ProTools and Logic based studio, we are able to work on any recordings brought to us. As an artist, you will find this room to be a great creative environment with a warm feel and great acoustical properties. The mixing live room is a 16' x 24” area with heavy wood treatment accompanied by a spacious 4' x 6' isolation room. This studio has proven to be great for singer songwriters as well as artist who just need to do vocal work on existing music. Driven by Apogee preamps and A to D conversion, you are sure to get fantastic audio quality from each performance.